Crafty Jak's – September 2018 Club Reveal – Oh Chocolate! Yikes… October 17th and I’m finally getting around to posting about September Club. I’m so sorry for the delay but with Knit City prep etc for the end of September, I just didn’t have time for much spinning! I took a slight deviation this month when I was looking for photos and chose one that isn’t actually a natural one. Chocolate! Who doesn’t love chocolate?? 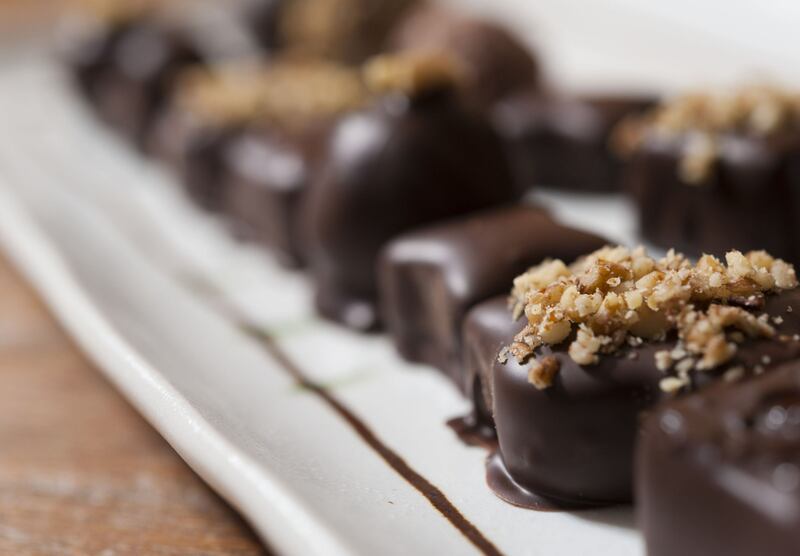 These chocolates were actually ones that I made many years ago during a workshop. It was a fun workshop and I was sad when the shop went out of business. 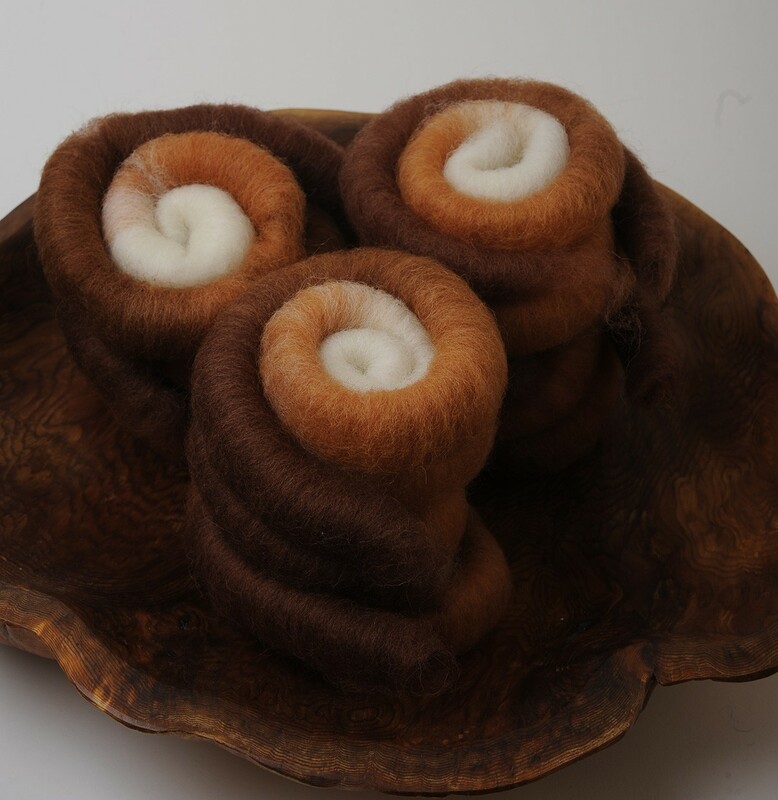 This month, I used Cheviot for the basic club and a 50/50 camel/silk blend for luxury club. 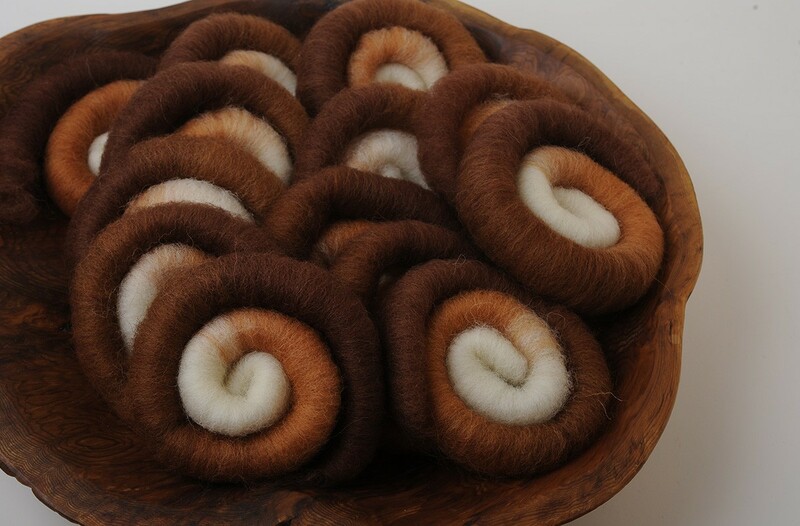 With basic club, I decided to spin for socks, as Cheviot is a great breed for them! I decided to split my rolags into three equal piles based on weight. 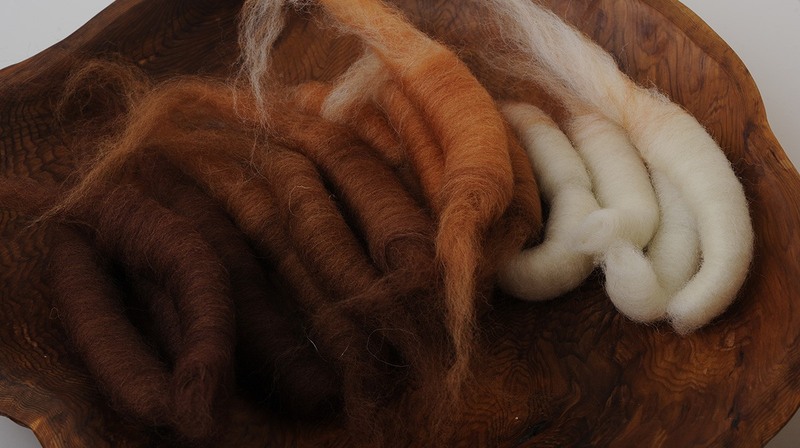 Then I took one pile and spun the rolags in succession from the brown to the white. I took one pile and separated it into the different colours and I spun all of one colour, followed by all of the next etc, as you would for a gradient. The last pile I took and split into the different colours and then split those piles in half, so that I would have slightly shorter repeats. Despite spinning the same way from the same weight (or so I thought!) I still ended up with some very uneven bobbins. 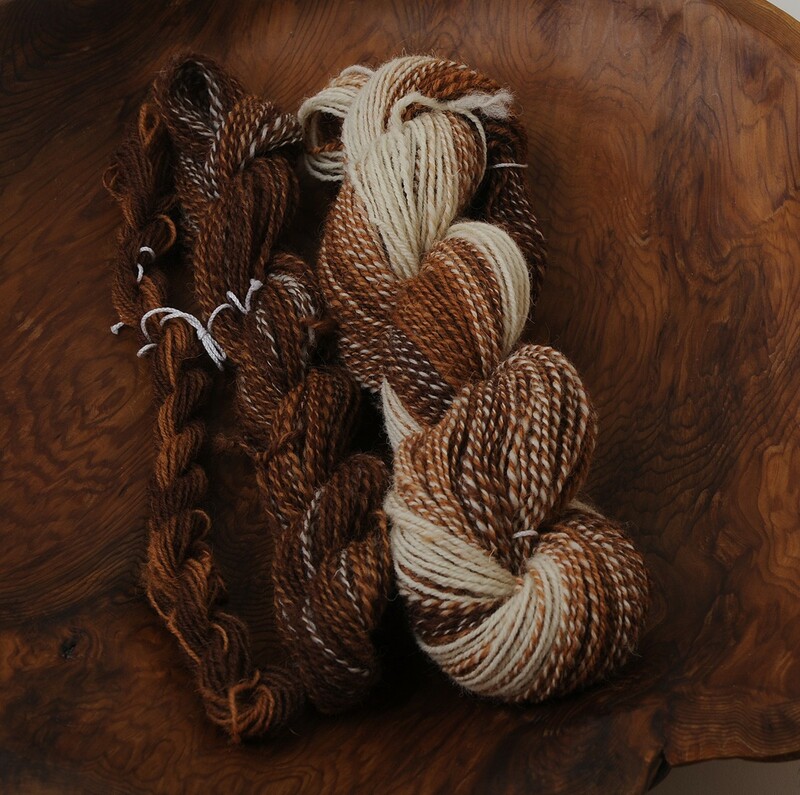 The large skein on the right was the traditional three ply that I spun from my bobbins initially. I have a very long length of white at the beginning of the spin and there’s a lot of white throughout the skein, based on how I spun each of the three bobbins. The skein in the middle is a two ply using up as much as I could from the remaining two bobbins and finally the smallest skein is chain plyed from what was left on the last bobbin. 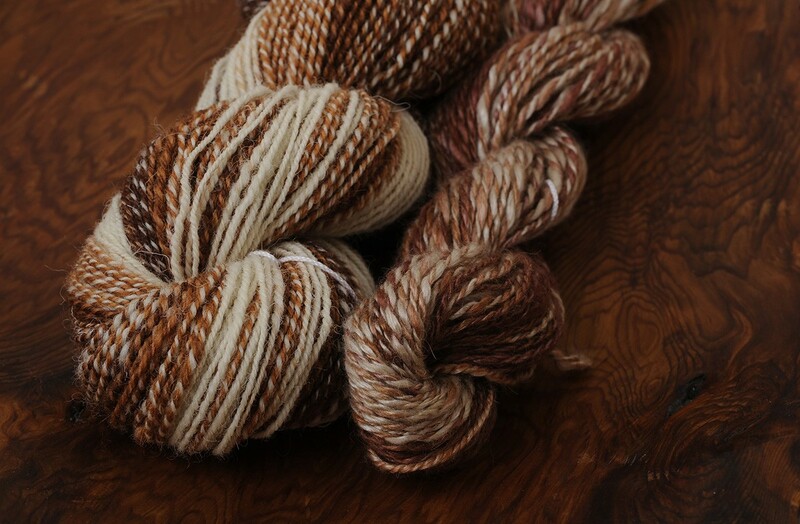 Interestingly, the one that had the most yardage was the one that I spun as a gradient. I love to compare/contrast two yarns, made from basically the same colours but different fibres. 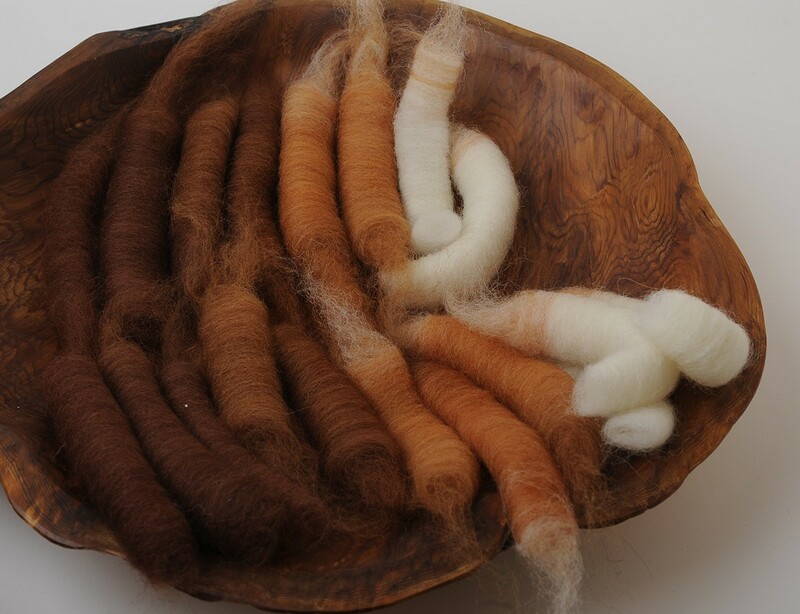 The camel silk is naturally a warmer tone when it’s undyed…which really adds depth to the colours when it was dyed. With the camel/silk, I spun it with a long draw, keeping lots of air in the yarn. With the cheviot, I wanted the durability of a worsted spun yarn, so I used a short forward draw for it. You can really see the difference when you look at these two yarns side by side. 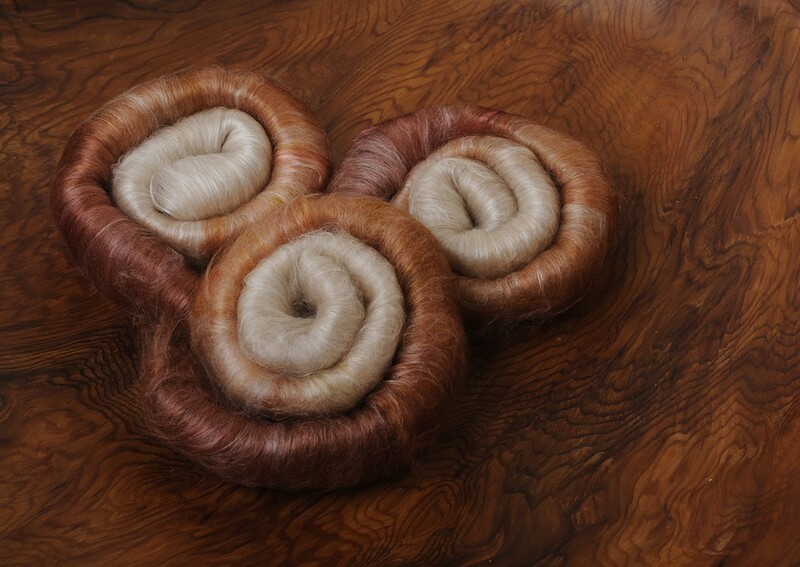 Lastly, I’ll leave you with a photo of the camel silk. 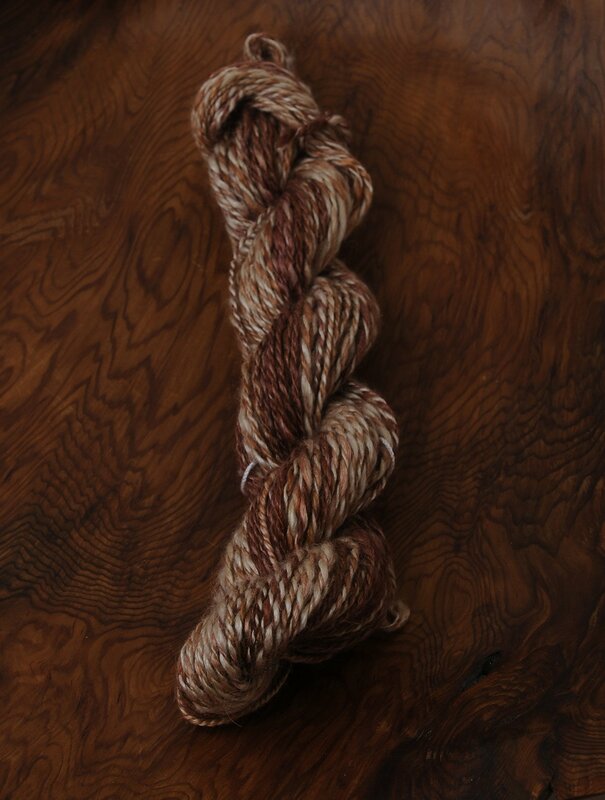 This skein was spun by spinning the rolags from end to end in succession and then plying from a centre pull ball. I would love to see what you do with club! Please feel free to share it over on this thread in the Wool N Spinning Ravelry Group or tag me on Instagram with the hashtags #craftyjaksboutique or #craftyjaksclub If you haven’t signed up for club and you’d like to, please follow this link to my Etsy shop. Cut off to receive November club is this coming Saturday, October 20th. Until next time, Happy Spinning! !